We have thousands of trial lenses in stock and most patients leave the office with trial lenses the same day as their contact lens fitting. Just ask Dr. Kenkel during your Cincinnati eye exam which is the best for you. 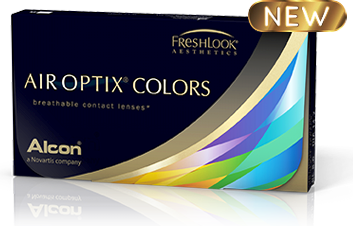 In fact, we provide all of the above brands of contact lenses and many more – having access to a wide range of contact lens available today for all sorts of vision correction needs. Call to schedule an appointment with our Cincinnati eye doctor or click on the Request An Appointment button shown above. Our Cincinnati, OH Optometrist Office Is Conveniently Located To Serve You. Need to refill your prescription? Simply click on the Contact Lens Reorder button. It’s fast, easy and convenient. Timothy P Kenkel and Associates optometrists serve Hamilton, Forest Park, Fairfield, and Western Hills. If you have dry, itchy eyes, it might not be allergies! Ask your Cincinnati OH eye doctor about Dry Eye Treatment!